Perfect for entertaining clients, business partners, family, and friends, Raley Field's premium hospitality areas have something for everyone. Full service catering is available to make your night even better. See below for the 2019 Suite Menu & Order Form. The new Western Health Advantage Legacy Club is the pride of Raley Field. 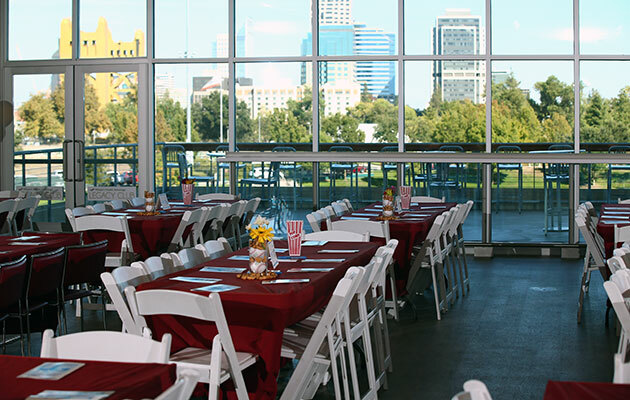 With sweeping views of the ballpark and downtown Sacramento, the only all-inclusive club in Raley Field offers some of the best hospitality in the region.